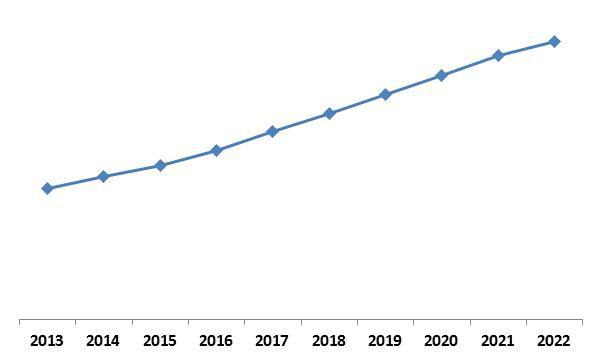 According to a new report Europe Thermal Imaging Market , the market is expected to attain a market size of $3.1 billion by 2022, growing at a CAGR of 5.5% during the forecast period. 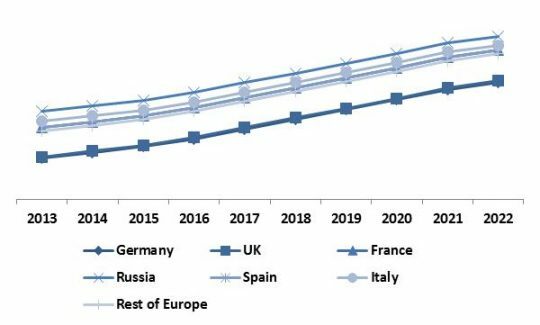 The report covers the European thermal imaging market by component, application, end user, and Country. In 2015, Hardware segment dominated the European Thermal Imaging Market by Component Type and would garner market revenue of $1,626.8 Million by 2022. However, Services segment would exhibit maximum CAGR of 9.5% during the forecast period (2016-2022). 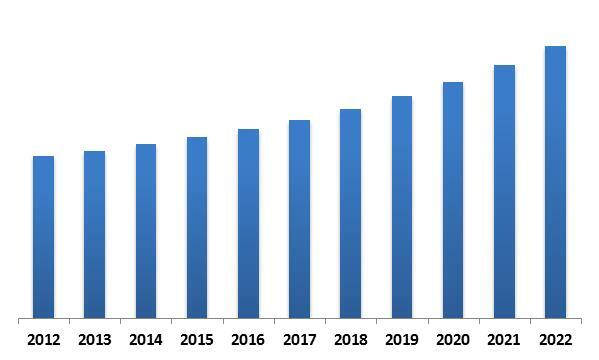 European Thermal Imaging Market Growth Trend, 2013-2022 In 2015, Surveillance segment dominated the European Thermal Imaging Market by Application with market revenue of $543.1 Million, in 2015. However, the automotive segment would exhibit maximum CAGR of 8.4% during the forecast period (2016-2022). 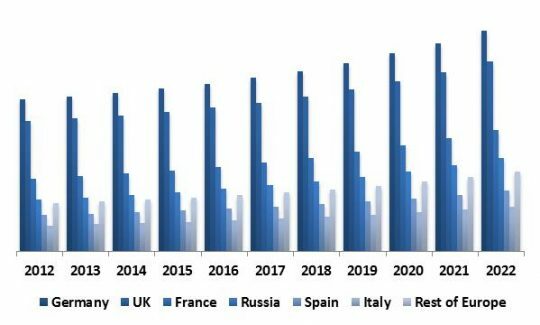 Europe Thermal Imaging Market Revenue Trend by Country, 2013 2022 (in %)[/caption] The report has exhaustive quantitative insights providing a clear picture of the market potential in various segments across Europe with country wise analysis in each discussed Country. The key influencing factors of the Europe Thermal Imaging market have been discussed in the report along with the elaborated company profiles, namely Honeywell International, Inc., BAE Systems, Flir Systems, Inc., Danaher Corporation, L-3 Communications Holdings, Inc., Axis Communications AB, Raytheon Company and Thermoteknix Systems Ltd.